Mobile Phone PCB per 2 types ke main section hote hai – 1. Network Section, 2. Power Section. Network Signal related hardware faults network section me aati hai. 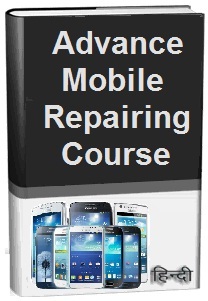 Mobile repairing me aaj aap learning karenge – how to solve network problems in mobile phone repairing. No network signal in mobile phone fault solution in Hindi. Mobile phone ki PCB per Network Section mobile phone ki Incoming or Outgoing Calls ko Control krta hai. Network section ke works PFO IC, Antenna Switch or Network IC dwara control kiye jate hai. Mobile Phone PCB per network section RX (Incoming Calls) or TX (Outgoing Calls) me divide hai. Mobile phone repairing course in Hindi me aaj aap learning karenge – Network Signal Problems or Faults Solution in Hindi. Mobile Cell Phone me Network related all problems ko solution kaise kare aaiye jante hai. 1. Mobile phone me Manual Network Search krke dekhe ki mobile phone me network signal aa raha ya nahi. 2. Agar mobile phone ki setting me manual me network nahi aa raha bai to fault antenna switch me hai. 3. Antenna Switch ko resold or change karke fault solve kare. Yadi fault phir bhi solve na ho to next steps ko follow krte jaye. 4. Agar mobile phone setting me manual setting me home network select nahi ho raha to fault PFO me hai. PFO ko resold or change kare. 5. Yadi mobile phone me call krte time bar bar call disconnect ho raha hai to fault Network IC me hai. Network IC ko heat, reball or change kare. 6. Mobile Phone ki PCB per Antenna Tips or Points Check or clean kare. 7. Yadi Network fault solve na ho rahi hai to 26MHz Crystal Oscillator ko heat or change krke dekhe fault solution ho rahi hai ya nahi. 8. Agar fault solve nahi hoti hai ab Antenna Switch ko heat or change kare. Antenna Switch ke place per Jumper bhi bana skte hai. 9. Mobile phone me no network ki fault solve hone ka naam nahi le rahi hai to ab PFO ko Heat or Change kare. 10. Network Problem solution krne ke liye ab Network IC ko Heat, Reball or Change kare. 11. Power IC ko Heat, Reball or Change kare. Fault solution na hone per final step ko follow kare. Notes: Mobile phone or Smartphone me network problem mobile phone hardware process se solve na ho to Software Flashing krke solve kare.